Equatorial Guinea's (Republica de Guinea Ecuatorial) Ministry of Transport, Technology, Posts and Telecommunications is working to deploy advanced telecommunications services, including phone and Internet, throughout the entire country as part of the goals set forth by the government in the Horizon 2020 plan. Various projects are already underway, including the deployment of a fiber optic submarine cable between the mainland and island region, as well as the development of a backbone network for the entire nation. "There is a network that connects all the provinces today…but we are making major investments to further develop the transmission and to improve service," said Vicente Ehate Tomi, Equatorial Guinea's Minister of Transport, Technology, Posts and Telecommunications. "We are also carrying out a submarine fiber optic cable project to connect the two major cities in the country, Malabo and Bata. This project has cost the state a large sum of money and will allow for a better flow of communication between the island and the mainland region." In addition to the fiber optic cable project, Equatorial Guinea is participating in a project supported by France Telecom and 14 African operators, known as ACE (Africa Coast to Europe), which will extend another fiber optic cable starting in France to link Europe to Africa. The project, promoted by France Telecom Orange, will feature a 17,000 km cable and is expected to be operational as early as 2012. It will connect more than 23 countries. "We are working with speed to develop and quickly implement the projects to meet the goals set forth for this Ministry by the National Economic Conference," said Minister Ehate Tomi. "We believe we will do this much sooner than the 2020 target, even by 2015." Minister Ehate Tomi also pointed to other mid-sized projects that are already underway, including the dissemination of new technologies and the computerization of the country as a fundamental goal of the Horizon 2020 plan and development of Equatorial Guinea. Equatorial Guinea's (Republica de Guinea Ecuatorial) Ministry of Information, Culture and Tourism and SOMAGEC hosted a Music Day Festival to celebrate culture throughout the country. The event featured renowned musicians, artists and dancers. Ramon Esono Ebale started off the event with the creation of the "Happening Tag," a colorful mural. Sculptor Gabriel Mokolo also presented the installation "Children of Iron." At the same time, craftsmen from the city of Fez, showed different ways of working in wood, leather and mirrors, and photographers Lolley Fabien, Jean-Michel Ruiz and Cecile Treal showcased a dynamic set of images of Equatorial Guinea and Morocco. Betty Akna played the piano to open the night's performances, followed by Bolebo System who played guitar, bass, drums and traditional percussion. Moroccan group Gnawi also performed and announced Equatorial Guinea as one of its tour destination countries. The evening concluded with a performance of the Equatorial Guinean national ballet troop, "Ceiba," and a Moroccan percussionists group Bramel'z. A three-day special session of the first "Youth Congress," sponsored by the Democratic Party of Equatorial Guinea (PDGE) in the city of Bata, drew attention to many challenges facing Equatorial Guinea's youth and formulated recommendations to address numerous areas, including access to low-income housing and higher education for the country's citizens. In addition, Teodoro Nguema Obiang Mangue, the country's Minister of Agriculture and Forestry, was unanimously elected president of the Youth Federation of the PDGE, Allied Youth Partnerships and Labor Affairs for his work in support of Equatorial Guinea's youth. "We want our young people to distinguish themselves by focusing on the values of honor, dignity and defending the interests of the people of Equatorial Guinea," said President of Equatorial Guinea Obiang Nguema Mbasogo, who presided over the Congress. He also advocated for the preservation of peace, political stability, training and compliance with the ideology to "do good and avoid evil." Hundreds of youth and PDGE district councils were in attendance. Guinean government officials, diplomatic corps, various representatives of neighboring African governments -- including Gabon, Ghana, Morocco, Angola and Cameroon -- the United Nations and representatives of opposition parties were also present during the three days. The Minister of Agriculture said that the main purpose of the youth associations in the country is to promote leadership, and to serve and defend the interests of the people of Equatorial Guinea. The first Youth Congress was themed, "Together building the future in confidence." Create an environment that gives an opportunity for the voices of the country's youth to be heard. Renew the structure and the functions of the party to accommodate and reflect the present times. Attract young people to actively participate in the political process. Wisely and gradually prepare for a generational change in an orderly and harmonious manner, with a spirit of cooperation and mutual respect between young and old. In his line of objectives, Teodoro Nguema Obiang Mangue said: "We should give ourselves in our entirety to activities in productive sectors such as agriculture, sea and river fishing, crafts, trade, small, medium and industrial enterprises that allow youth a level of responsible living, and to move away from political and economic corruption." He suggested that a "pact of trust between generations" should exist, because to "ignore the essential nature of the link between the elderly and young people is to ignore the realities of the history of our peoples and of humanity... The PDGE youth must leave this Congress with a fresh mind and be certain that our ancestors have brought us national freedom and independence. A change of mentality is needed." The Congress kicked off with remarks by President Obiang and the Minister of Agriculture and welcome words from the delegations of the Democratic Party of Gabon and Gabon's Youth Association, Democratic Congress of Ghana, Democratic Reunification of Cameroonian People, Popular Movement for the Liberation of Angola, and Governmental Independence Party of the Kingdom of Morocco. Delegates also heard from the National University of Equatorial Guinea (UNGE) and the Scientific and Technological Research Council (CICTE). On the second day of the Congress, national experts, party leaders and top government officials, addressed various topics of interest during panel discussions and took questions from the audience. Panel sessions on Youth and National Identity, Youth and Education, Youth and Access to Jobs, Youth and Access to Housing, Youth and Agriculture Sector and Business Culture, and Youth and Professional Development addressed current challenges and provided recommendations. On the final day, closing remarks were delivered by President Obiang and the Minister of Agriculture was sworn in as president of the Youth Federation of the PDGE. 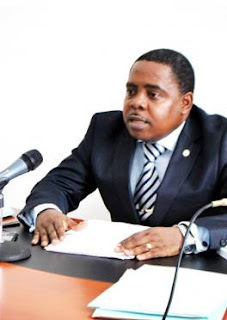 Equatorial Guinea's (Republica de Guinea Ecuatorial) Minister of Agriculture and Forestry, Teodoro Nguema Obiang Mangue, has become the new Chairman of the National Youth Federation of the Democratic Party of Equatorial Guinea (PDGE), Allied Youth Partnerships and Labor Affairs. At the First Special Ordinary Congress of the National Youth Federation in Bata, a resolution was approved to elect Minister Nguema as Chairman of the group for a period of five years. The resolution also makes him the Vice President of the PDGE. The event featured various groups, including delegates from different districts of youth organizations and youth associations of the nationwide party. In addition, students representing various academic institutions, such as the National University of Equatorial Guinea, Institute for Media Education of Malabo and Bata, participated in the Congress. The attending groups nominated Teodoro Nguema Obiang Mangue as the Chairman of the National Youth Federation. After Minister Nguema was sworn into the Chairman position and congratulated by the attending organizations, he expressed excitement for having been freely and democratically elected to this position, which was created according to the general statutes of the Party. This is part of a broader effort by the government to improve the democratic election process for its citizens. Equatorial Guinea's (Republica de Guinea Ecuatorial) Malaria Control Project, a public-private partnership between the Ministry of Health and Social Welfare, Marathon Oil Corporation, and Medical Care Development International (MCDI) report a reduction in infant mortality in nearly a third of the population on the Island of Bioko. As part of this national program which includes intensive public information campaigns, the government has begun providing medicine and medical treatment for those infected, spraying, and distribution of free mosquito nets to pregnant women throughout the country. Research carried out by the Malaria Control Project team on the Island of Bioko, funded by the government of Equatorial Guinea and a private consortium led by Marathon Oil Corporation, showed a reduction in infant mortality in nearly one third of the population. These results demonstrate an increase in child survival after four years of intensive malaria control, results that were recently showcased in the American Society of Tropical Medicine and Hygiene. Equatorial Guinea's Island of Bioko has achieved the United Nation's Millennium Development Goals for the reduction of child mortality by 2015 far ahead of schedule. The government's national malaria program includes free treatment for patients that test positive for malaria infection, with special attention paid to pregnant women since they face higher risk, distribution of government sponsored insecticide-treated mosquito nets and preventative treatments against malaria. This is part of a broader effort by the government and the Ministry of Health and Social Welfare to improve public health for its citizens. 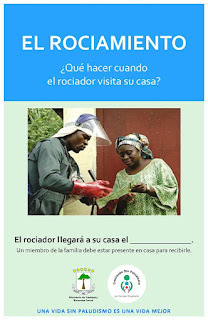 Prevention plays a very important role in the fight against malaria; the government has launched a free mass spraying of houses on the Island of Bioko and more than half of the continental area, with plans to spread across the whole region. 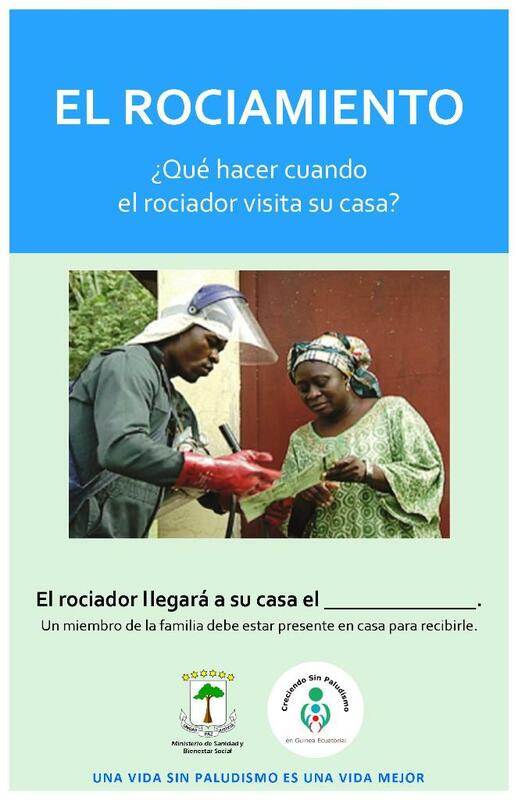 Further, as part of the public information campaigns, teams distribute informative brochures, leaflets and talk to people about prevention measures. The Malaria Control Project is a fundamental part of the government-wide effort to meet all the Millennium Development Goals set by United Nations. President of Brazil, Luiz Inacio Lula da Silva wrapped up a state visit yesterday to Equatorial Guinea (Republica de Guinea Ecuatorial), which included the signing of multiple cooperation agreements, economic meetings, and festivities. Equatorial Guinea (Republica de Guinea Ecuatorial) Minister of Transportation, Technology, Post and Telecommunications, Vicente Ehate Tomi, recently met with U.S. Ambassador to Equatorial Guinea Alberto Fernandez to assess the state of transportation and airport security. The meeting was an opportunity to further discuss the possibility of receiving technical assistance from U.S. experts on transportation security. Ambassador Fernandez informed the Minister that a delegation of technical experts is scheduled to arrive in the country at the end July. "We are looking forward to the opportunity to benefit from the technical expertise of the United States. We want to promote the highest levels of safety and security at our airports for the benefit of visitors and citizens alike," Minister Tomi said. Programs to improve transportation, security and technology are part of a broader reform effort by President Obiang Nguema Mbasogo. President of Brazil, Luiz Inacio Lula da Silva will visit Equatorial Guinea on Monday, July 5 as part of an African tour that will take place between July 4 to 12, including official visits to Cape Verde, Guinea Bissau, Tanzania, Zambia and South Africa. The Brazilian President will be accompanied by a delegation of Brazilian businessmen. Trade between the two countries has increased significantly in recent years. 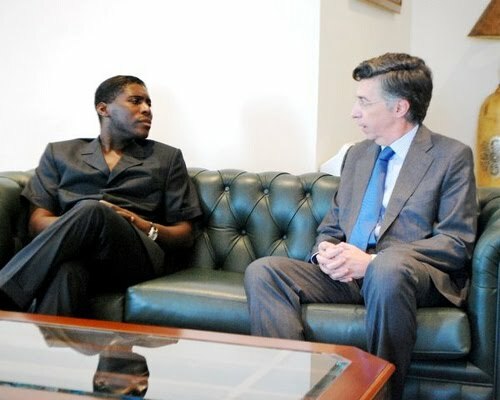 In June 2009, Brazil's Minister of Development, Industry and Foreign Trade, Miguel Jorge, also visited Equatorial Guinea accompanied by a large delegation of businessmen from his country. So far this year, Equatorial Guinea has signed several contracts with Brazilian companies across various sectors, including infrastructure and construction projects, education and sports. Diplomatic relations between Equatorial Guinea and Brazil were established in 1974. The opening of the Embassy of Equatorial Guinea in Brasilia in 2005 and the Embassy of Brazil in Malabo in 2006 have significantly contributed to a stronger and more open cooperation between the two countries. Equatorial Guinea's Minister of Foreign Affairs, Pastor Micha Ondo Bile, traveled to Brazil in 2005 to conduct an official visit, during which bilateral relations and diplomatic relations were expanded. The President of Equatorial Guinea, Teodoro Obiang Nguema Mbasogo also visited the Brazilian state in February 2008, an occasion on which he met with President Lula da Silva. Prior to this visit, President Obiang also participated in the Conference of Intellectuals from Africa and the Diaspora held in the city of Salvador de Bahia in 2006. As part of his five point plan for reform, Equatorial Guinea President Teodoro Obiang Nguema Mbasogo pledged to improve relations with human rights organizations and invite the International Red Cross to open its headquarters in Equatorial Guinea, at the 2010 Global Forum. "The Government will invite the International Red Cross to install its headquarters in Equatorial Guinea and assist in reviewing and assessing all allegations of human rights violations in the country," President Obiang said in an address to the Forum. "We will also ask for your help in monitoring our Criminal Justice System and prisons to ensure the humane and appropriate treatment for those convicted of crimes." Equatorial Guinea has already begun reform efforts by bringing the country's jails up to international standards. "We report that the Government has upgraded the jails and has adopted regulations and standards as an ongoing effort to meet international requirements," President Obiang said. 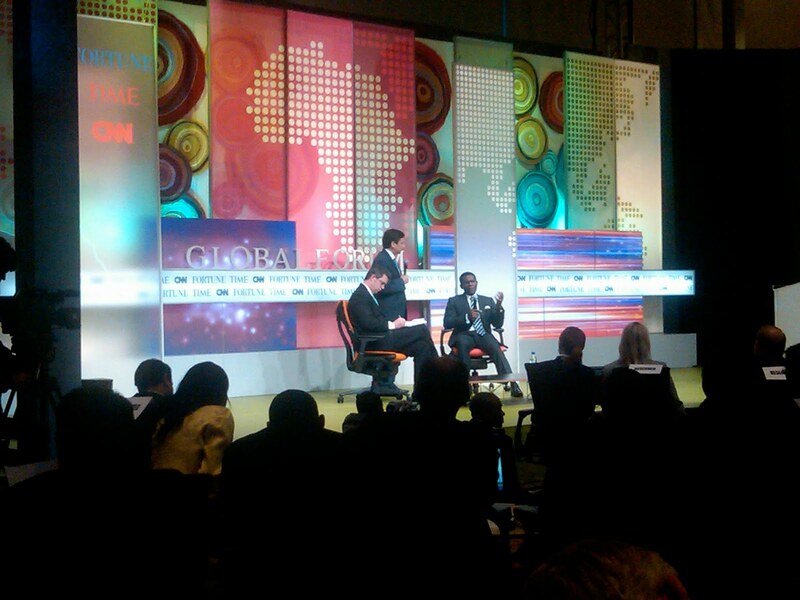 President Obiang delivered a historic speech at the 2010 Global Forum in Cape Town, South Africa. Hosted by CNN, Time and Fortune, the Forum gathered world leaders, CEOs and the media to discuss substantive issues and opportunities in the developing world. In an address to world leaders, CEOs and the media, Equatorial Guinea (Republica de Guinea Ecuatorial) President Teodoro Obiang Nguema Mbasogo vowed to preserve the natural resources of the country and protect endangered species. President Obiang's historic address was delivered at the 2010 Global Forum in Cape Town, South Africa. As a member of the Commission for the Conservation of Forest Ecosystems in Central Africa (COMIFAC), parts of Equatorial Guinea, including Monte Alen National Park (ECOFAC), have been declared reserves for its forests and biodiversity protection zones. "We have reduced wood export to below that of oil exploitation. Indeed, the government asked the African Union to monitor and intervene in the activities of NGOs interested in the environment to ensure we have a program for preservation," President Obiang said. President Obiang also vowed to continue to protect against the hunting of monkeys and other endangered species. "We will continue to take other protective measures already in place, such as the prohibition of hunting of monkeys and other endangered species. We will ask for assistance from interested organizations to support the population that is affected by these measures," President Obiang said. As part of the effort to preserve its ecosystems and biodiversity, Equatorial Guinea was recently welcomed by The United Nations Environment Programme (UNEP) and the Convention on Migratory Species of Wild Animals (CMS) as a member of CMS. Environmental conservation is part of a larger effort to reform outlined by President Obiang at the Forum. Equatorial Guinea (Republica de Guinea Ecuatorial) President Teodoro Obiang Nguema Mbasogo pledged to reform legal institutions in a historic speech at the 2010 Global Forum in Cape Town, South Africa. Judicial system reform is part of a broader reform effort, which was laid out by President Obiang in his address to world leaders, CEOs, and the media. President Obiang made clear his intentions to review and continue programs already in place as well as to create new programs to bring Equatorial Guinea into the future. "We will invite a delegation from the African Union to help us review and continue the reforms we have already initiated of our legal institutions, and to prepare and adopt a new legal code that drives the country into the future and ensures judicial credibility," President Obiang said in the speech. During the address, President Obiang also touched upon press freedom and the Government's intention to support the activities of the Free Press Association of Equatorial Guinea (ASOPGE). "Press freedom is guaranteed by law. Accordingly, we have the Free Press Association of Equatorial Guinea (ASOPGE). The Government will take measures to support the financing of their activities to allow it to act with independence and freedom," President Obiang said. Equatorial Guinea is committed to the reform efforts discussed in President Obiang's speech and continues to make progress everyday. The 2010 Global Forum, hosted by CNN, TIME and FORTUNE, took place June 26 – 28 in Cape Town, South Africa.